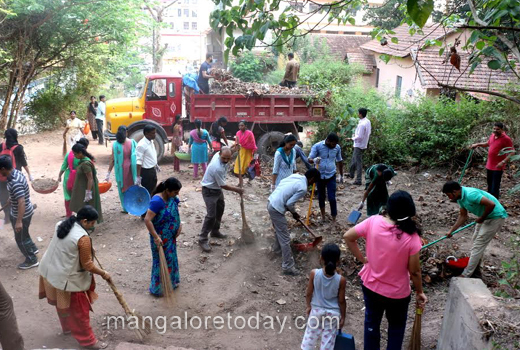 Mangaluru, April 25, 2017: A press note received here from Ramakrishna Mission, in the city says that a cleanliness drive was organized in association with District Legal Service Authority and Bar Association, Mangaluru on Sunday, 23 rd April 2017. 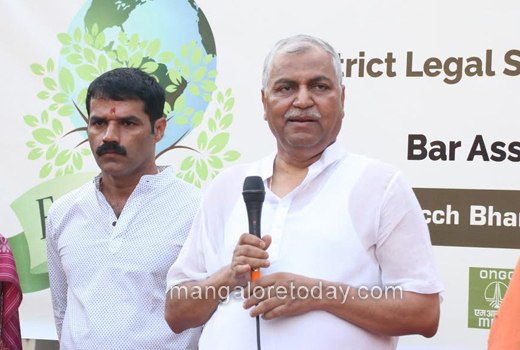 Judge K S Bilagi, Principal District & Sessions Judge, Swami Dharmavratanandaji of Ramakrishna Mission and Adv Pushpalatha U K, Vice President of Mangalore Bar association were present for the stage programme that preceded the drive. 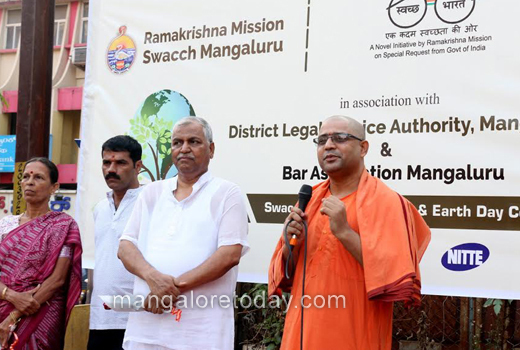 Swami Dharmavratanandaji inaugurating the programme and said, “Cleanliness needs to be each one’s priority. We should let go of the feeling that its someone else’s job. 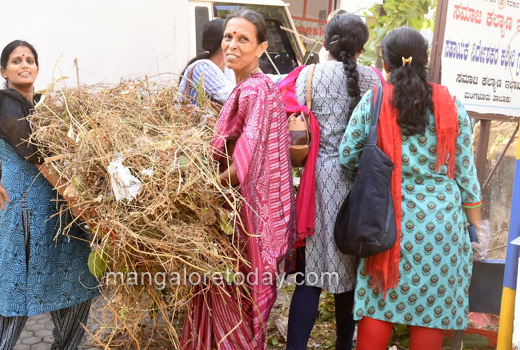 Only when the awreness about cleanliness gets awakened in our minds will this become meaningful.” Judge K S Bilagi who presided at the event said, “Cleanliness drive should begin from each and every house. Internal cleanliness is very important and preceded external cleanliness. This drive succeeds if we feel that the surroundings should be kept as clean as our own homes. Mangalore is designated as Smart City. This can become meaningful only if all its citizens too think smart.” Sri Mallanagowda, Senior Judge welcomed and Dinakar Shetty proposed vote of thanks. 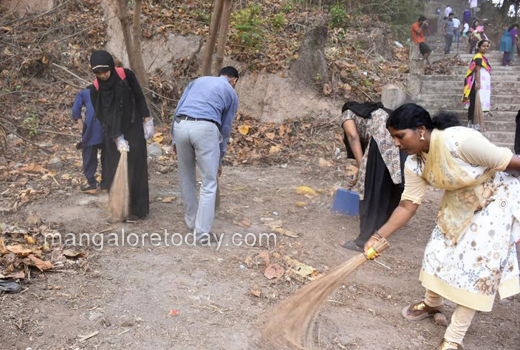 A cleanliness drive for two hours was conducted in a serious manner. 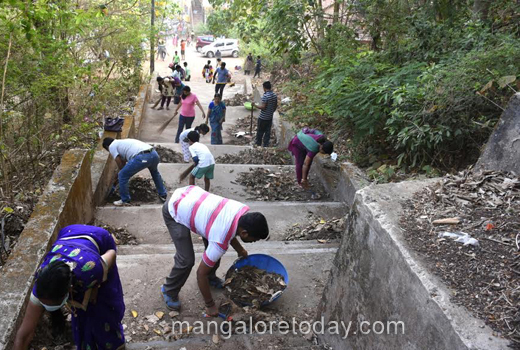 The group of 200 people present was divided into three teams who undertook cleaning works from PVS to Karangalpady Road, from PVS to court road and surroundings of Social Welfare department complex. Senior judges, C M Joshi, Pushpanjali Devi and nearly 20 judges actively participated in the drive. 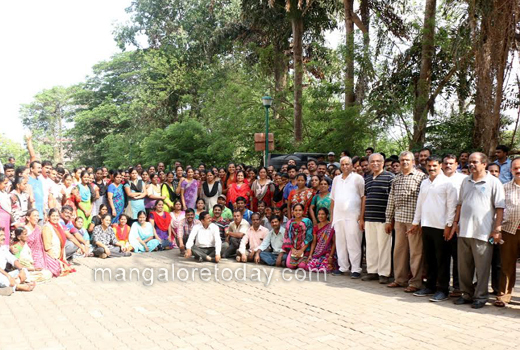 Judge K S Bilagi, Principal District and Sessions Judge guided the volunteers all through the drive. 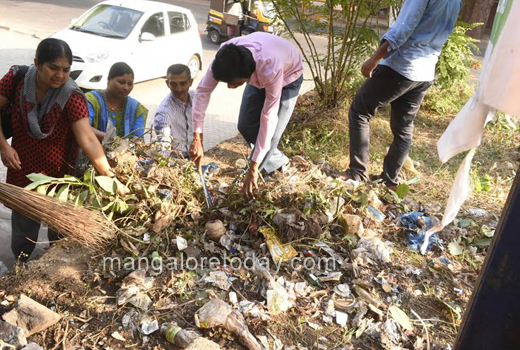 Umanath Kotekar Dilraj Alva, Coordinators of Swacch Mangaluru Abhiyan coordinated the drive. MRPL and Nitte patronized this programme. We have to be thankful to Ramakrishna mission. 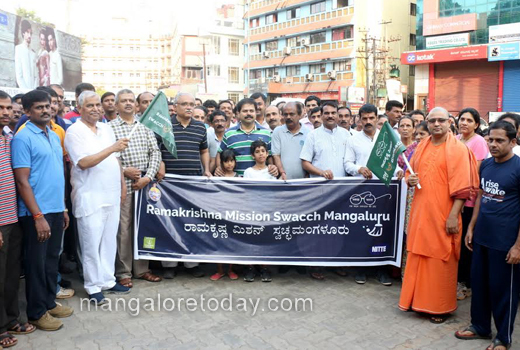 Once we get into habit of maintaining cleanliness we will understand the importance of it.